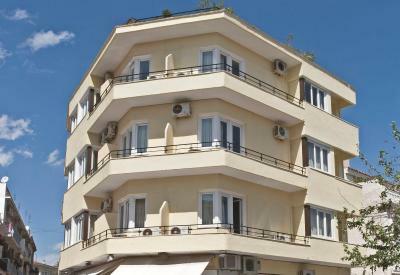 Lock in a great price for Phaedra Hotel – rated 8.2 by recent guests! Great location, walking distance to metro. 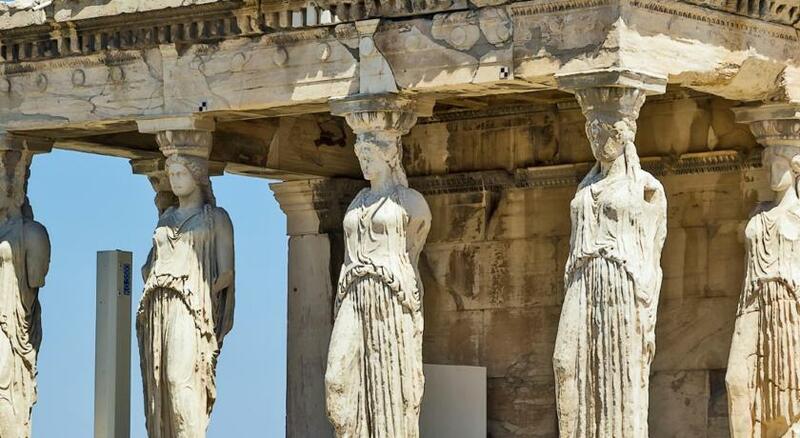 Amazing view of Acropolis. Friendly staff. Great price. The view was spectacular! We were comfortable and very happy with accommodations. 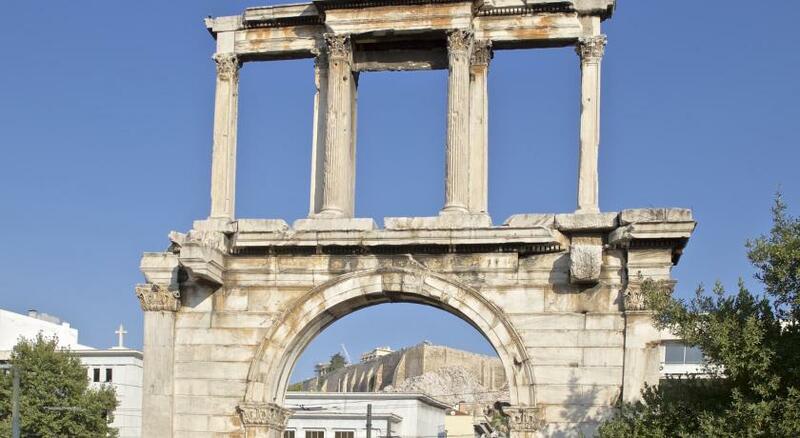 The location was very convenient for the entrance to the Acropolis. The staff were friendly and helpful. The room was clean, looked like it had been recently re-decorated. My room had an ensuite bathroom; some others in the hotel may not. The balcony overlooked a fairly quiet square. I thought this was a very good lower budget hotel and would recommend to others for a short stay. Staffs are great and welcoming, advised us to layer up clothing due to weather alerts, and assist with directions. bag stored after check out with no charge for us to continue our athens tour. 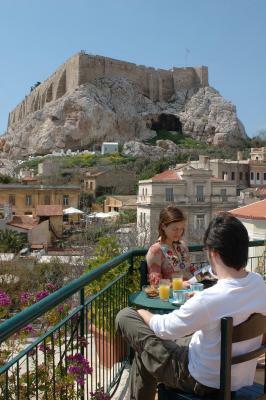 The hotel is located right next to the Acropolis - about a five minute walk. 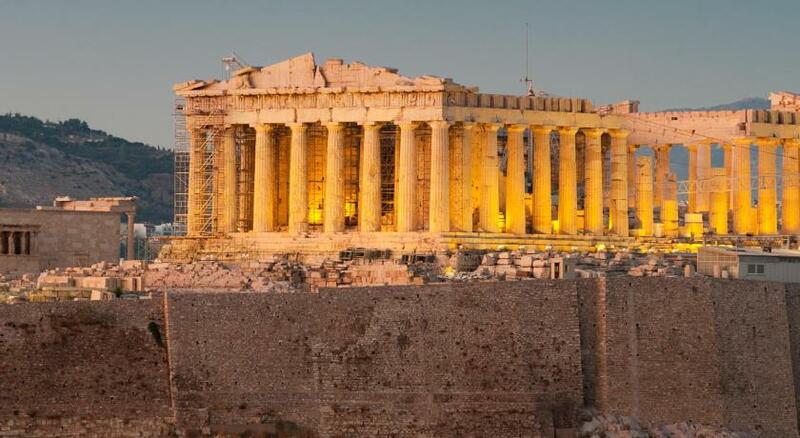 The hotel is near to some of the best restaurants in Athens. Staff were very kind and helpful. 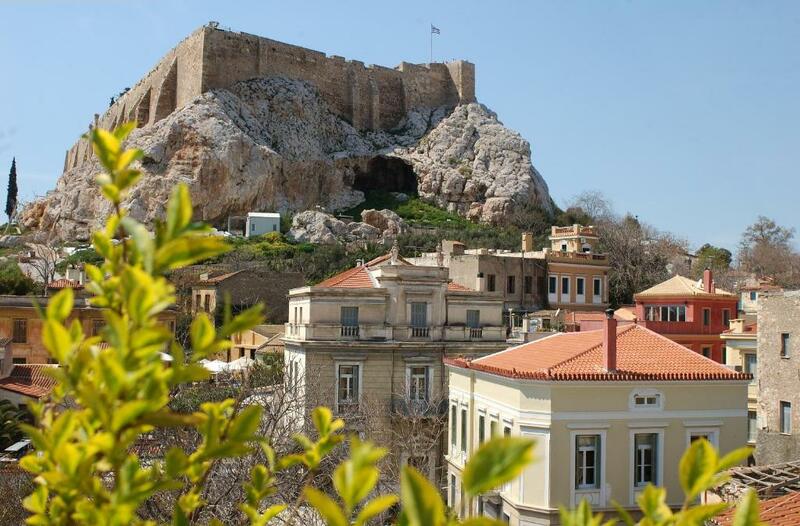 Located in the beautiful and historic Plaka. Price was great. Will stay again! 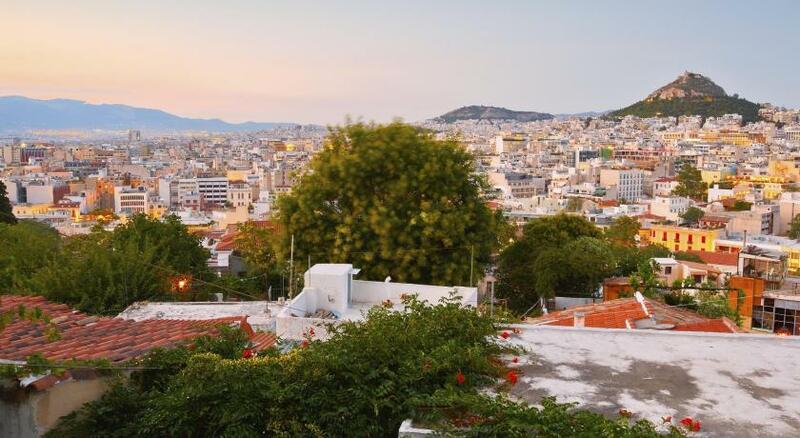 Unbeatable location, right in the middle of Plaka. Walking distance to most attractions. 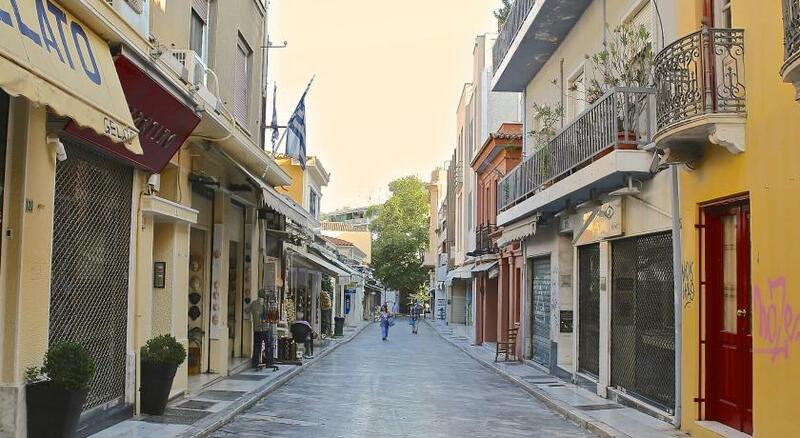 Walking to the closest metro station (Acropoli) takes about 10 minutes. Clean and spacious bedroom and bathroom. The view on the Acropolis from the balcony was priceless. 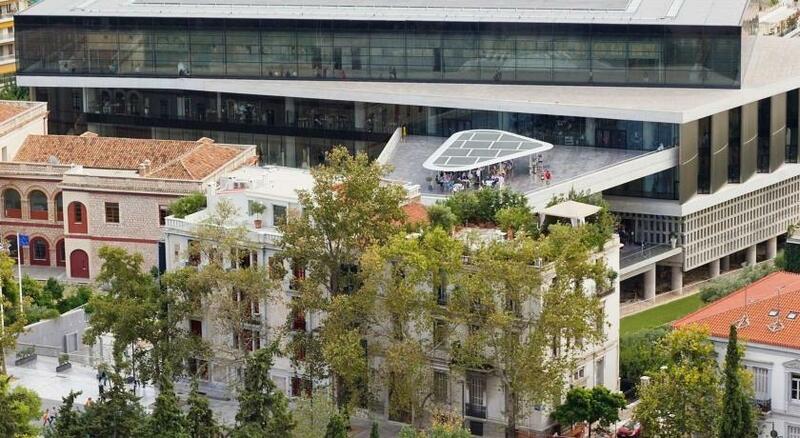 Rooftop with 360-degree view. Simple, but tasty and copious breakfast. Very friendly staff. 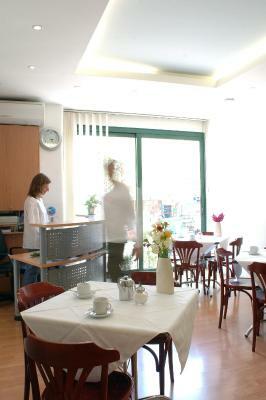 The location is very good, close to everything, museums, metro station, shopping. 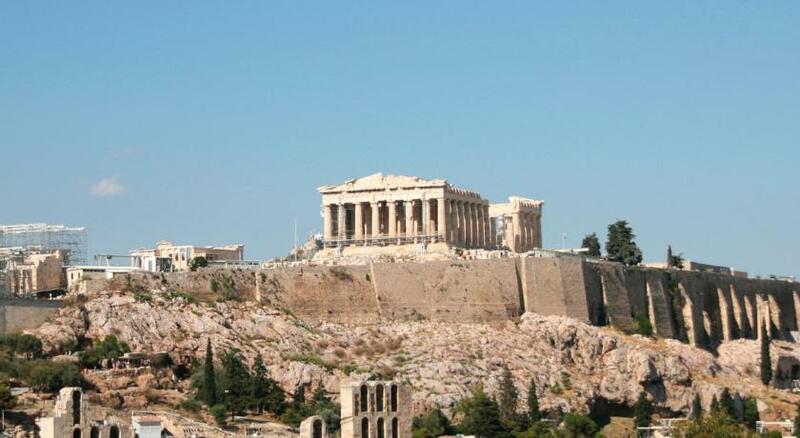 The view on Acropolis from the roof is amazing! 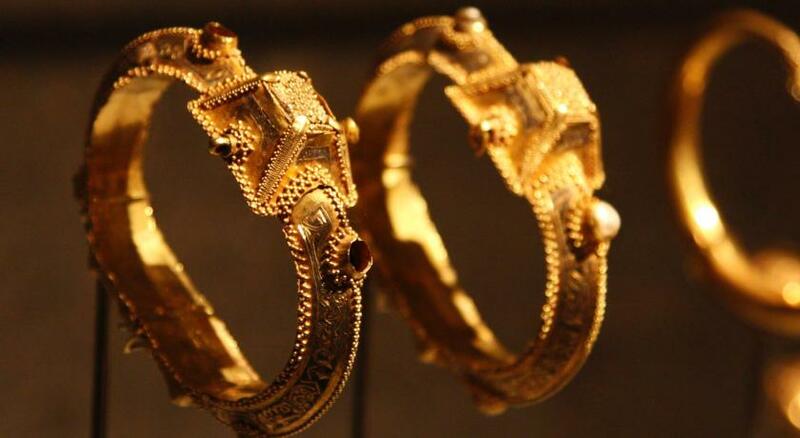 One of our best sellers in Athens! 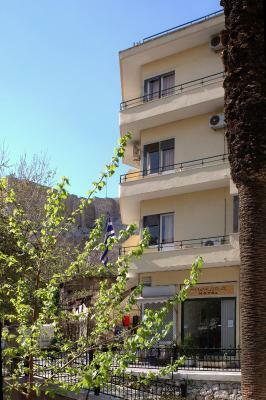 Centrally located in Athens, in the scenic area of Plaka, Phaedra Hotel is 650 feet from Acropolis Metro Station. 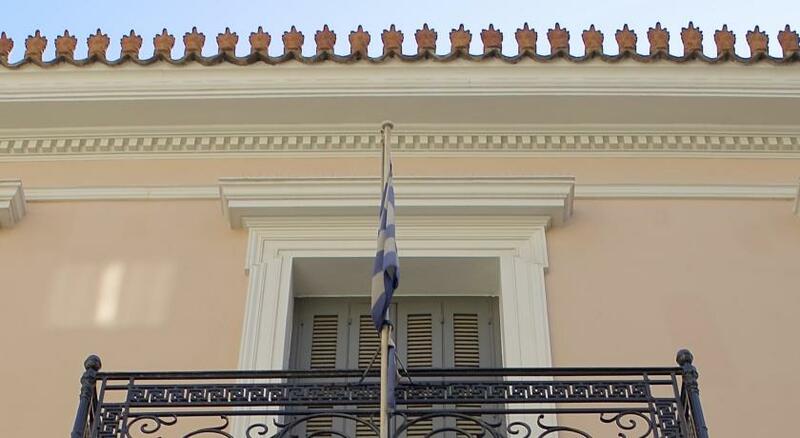 It offers air-conditioned rooms with free WiFi just a 10-minute walk from Syntagma Square. 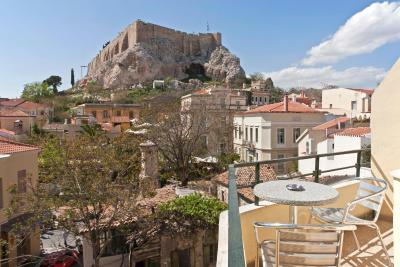 Its rooftop terrace features panoramic Acropolis views. Featuring a cable TV, all rooms at the Phaedra offer a desk and telephone. Each has a private bathroom with shower and toiletries. Some units have a balcony. 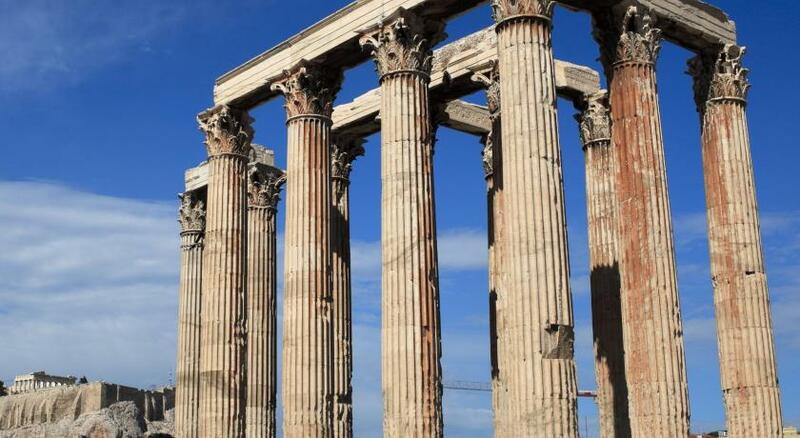 Acropolis Museum is 800 feet away and the Temple of Zeus is at 500 feet. 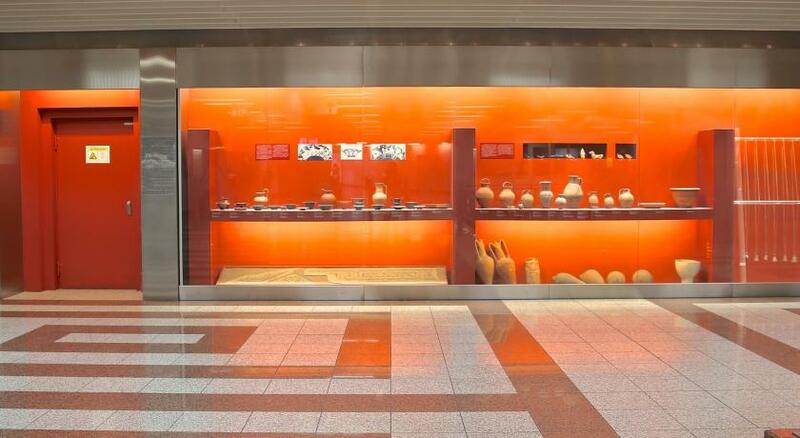 Staff at the 24-hour front desk can offer information on nearby shops, bars and restaurants serving traditional Greek or international cuisine. 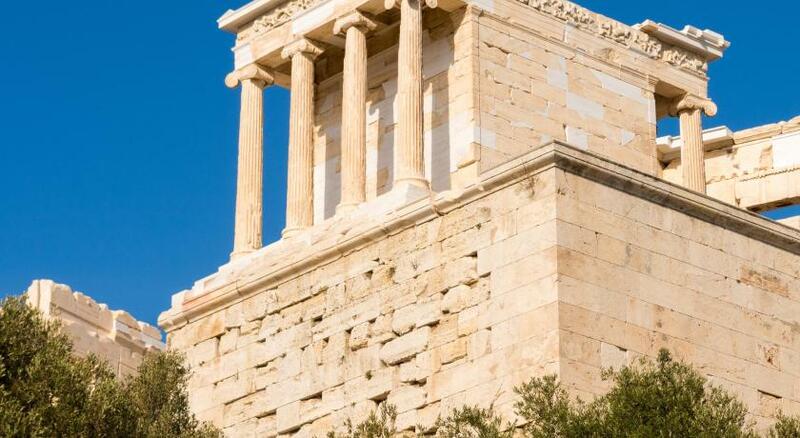 Centrally located in Athens, this air-conditioned room features free Wi-Fi. It offers cable TV, desk and telephone. It has a private bathroom with shower and toiletries. Hairdryer is available upon request. 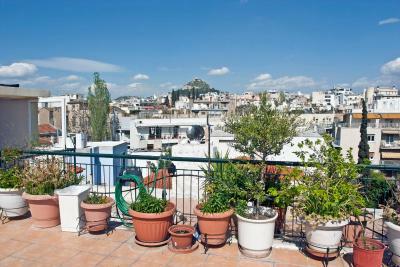 Centrally located in Athens, this air-conditioned room features free Wi-Fi and balcony. It offers cable TV, desk and telephone. It has a private bathroom with shower and toiletries. Hairdryer is available upon request. 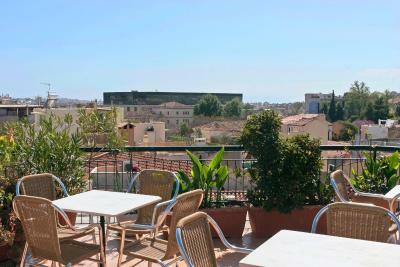 Centrally located in Athens, this air-conditioned room features free Wi-Fi and balcony. It offers cable TV, desk and telephone. It has a private bathroom outside the room with shower and toiletries. Hairdryer is available upon request. Less spacious room with a view of the Acropolis and a private bathroom. Please note that different policies apply for group reservations of 4 rooms or more. The welcome could’ve been warmer but maybe we’d been spoilt already by that!! A non-usual Greek welcome was ok to put up with for everything else!! 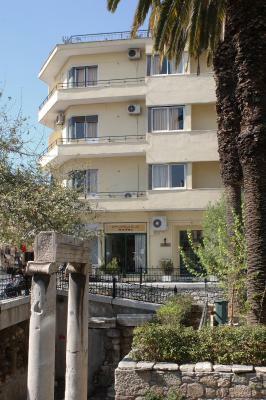 Great value budget hotel in a great location for easy access to bars, souvenir shops and Acropolis. Friendly owner & daughters, thank you! The Phaedra Hotel is in a fantastic location. 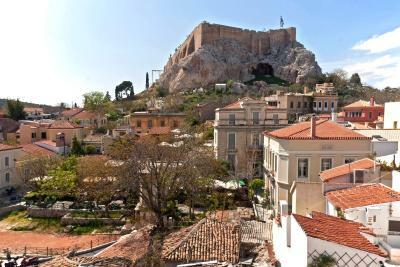 right in the Plaka and so close to the centre of Athens... perfect! Actually, this time, everything was perfect. Best location ever. I was here in february too and the mattress was horrible. But this time the bed was really comfortable, bigger than the last one. And the bathroom was attached to the room this time. WiFi did not work in hote room. Worked great in common areas. Perfect location! Would come back again!! Sometimes the people on street got a little loud with celebrating and having fun, but had nothing to do with hotel! Its not an attached bathroom, each time use bathroom need to cross the corridor! The bathroom is too small furthermore the floor trap was clogged from the day i check in till i check out. 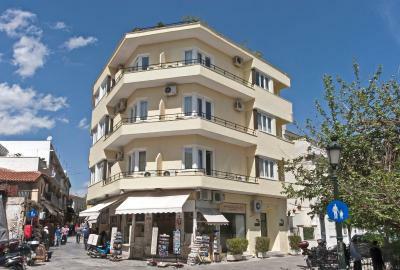 The location is convenience to tourist center, easy for food, walk around local tradition shops and restaurants. Easily being located upon check-in. very good localization. Good communication to airport bus and metro. Occasionally breakfast service seemed a little haphazard but the staff were always responsive to requests. The hotel is in the heart of the Plaka district with direct views of the acropolis. The hotel has a hidden secret of a roof top area to sit out on and is one of the tallest old buildings around and as such you get a panoramic view of the whole area if you choose not to book a room with a balcony view. The location is good. 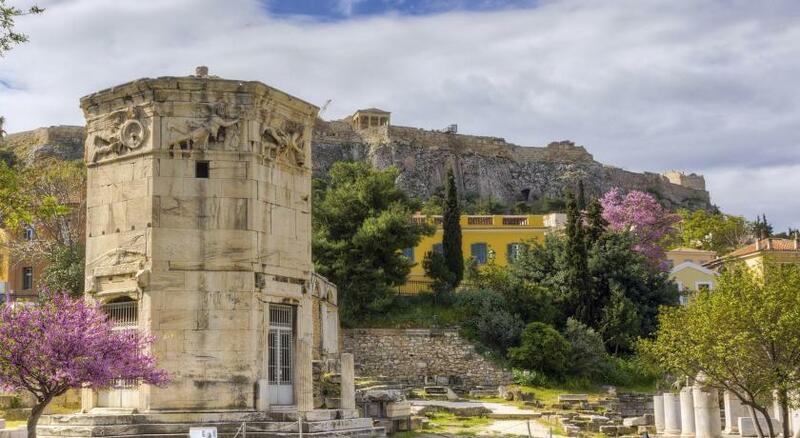 About 10 minutes walk from syntagma. We knew this place was central but we had no idea that we'd be staying at the foot of the Acropolis with possibly the best view in Athens. The balcony had a great view but the rooftop was incredible!